Your suggestion that both pieces might be Swedish, well, that is quite possible. Your 8.47.9 in particular seems relevant. 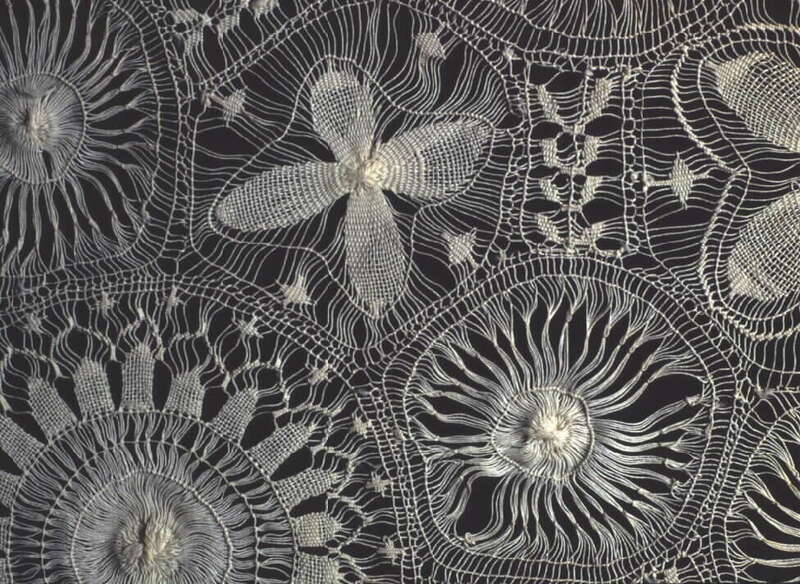 In desperation, I just went through all 905 pieces of bobbin lace in the Met collection claiming to be 1800-1900 looking for pieces with a honeycomb background. Interestingly, there were some that were Swedish, donated by the Society for Women's Work, Stockholm, 1908. The only other one I could find with a honeycomb background was from Northhamptonshire. I am attaching the photos. The one with accession number 08.180.36 is the Northhamptonshire one. A honeycomb background is actually quite unusual. Thoughts? I meant to say also, I think you are right that your piece and mine are very similar. 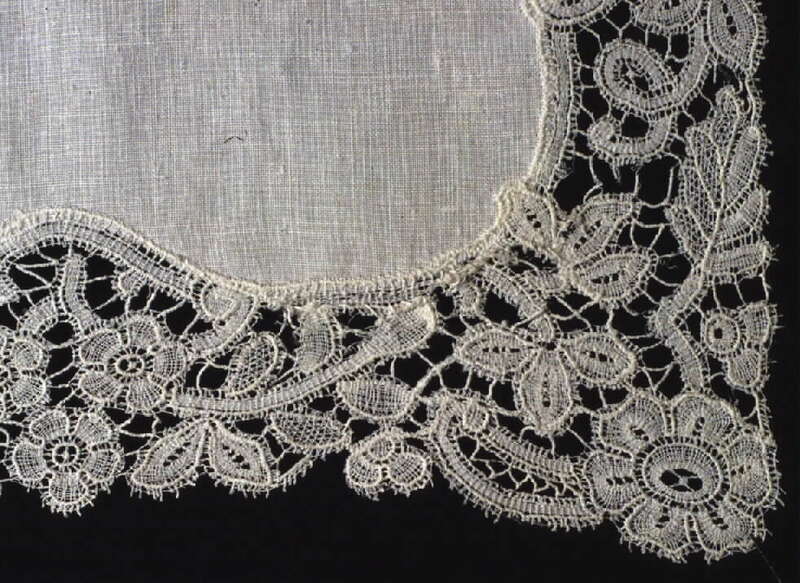 I also think you are right to suggest point ground, 19th c. Point ground laces don’t all have point ground. Some do use honeycomb ground throughout, and some use kat stitch (Paris ground). And I think your point about one pair entering at each pin, instead of 2 as we would find in continental laces, is very much to the point. However I would avoid the terms Brussels or Point d'Angleterre for your piece because those terms usually refer to part laces of the 18th c, not straight laces. I think that your piece is very similar to my piece. I also think that your piece has a honeycomb ground, like mine, not a Point de Paris ground. The honeycomb ground seems to be most frequently observed with point lace. Is there any reason why this would not be considered a point lace? The way the pairs go in and out is not a typical Flemish way which usually involves taking in two pairs and dropping the weaver. 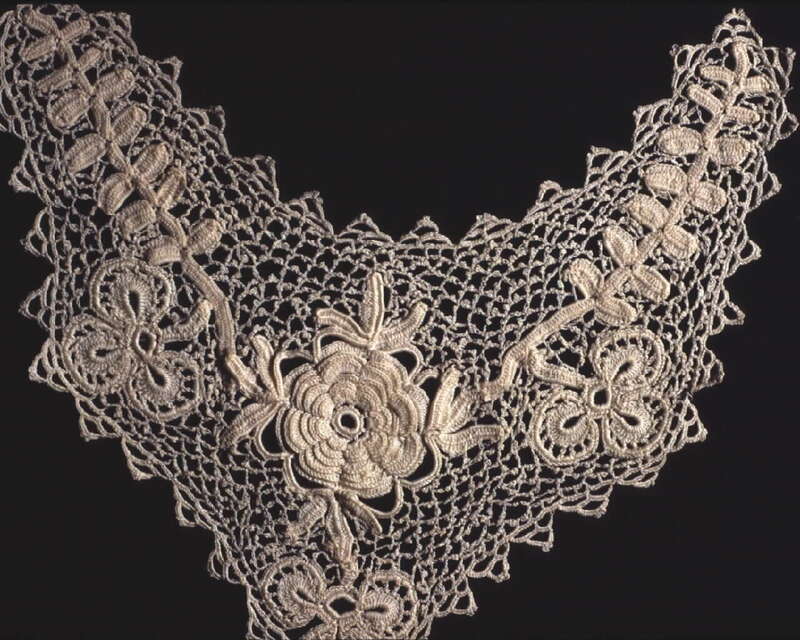 Regarding Flemish part lace, Santina Levey likes the term Brussels bobbin lace, but I find myself gravitating to the term Point d'Angleterre simply because it is applied to a very specific era and style and is so mysterious as to its origins that it is memorable. Yes, it is very hard to come up with any real rules about naming things when they seem to depart from certain established memes. Unfortunately, it is often the case. Your piece is interesting. 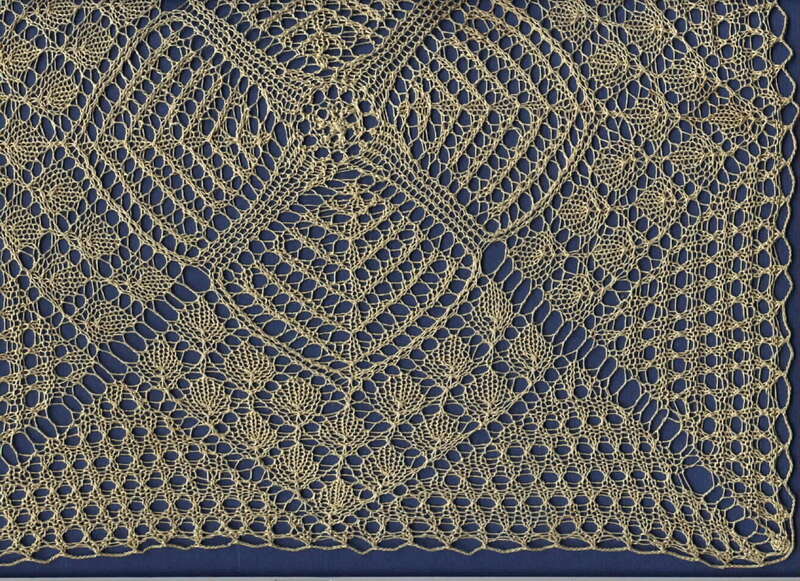 It is faintly reminiscent of a lace from my own collection. I can't quite see what the ground is on your place. Definitely not cinq trous (5 hole), which is another name for old Flanders ground, which has the same sequence of movements as rose ground. Your piece has either Paris ground or honeycomb ground. My example above has Paris ground. Both your piece and mine do not have the feel of something as old as 1800. Possibly Gon Homburg's suggestion of "Flemish" might be appropriate. But I have heard that name applied to part laces of that era. So how do we distinguish those, the part from the straight. 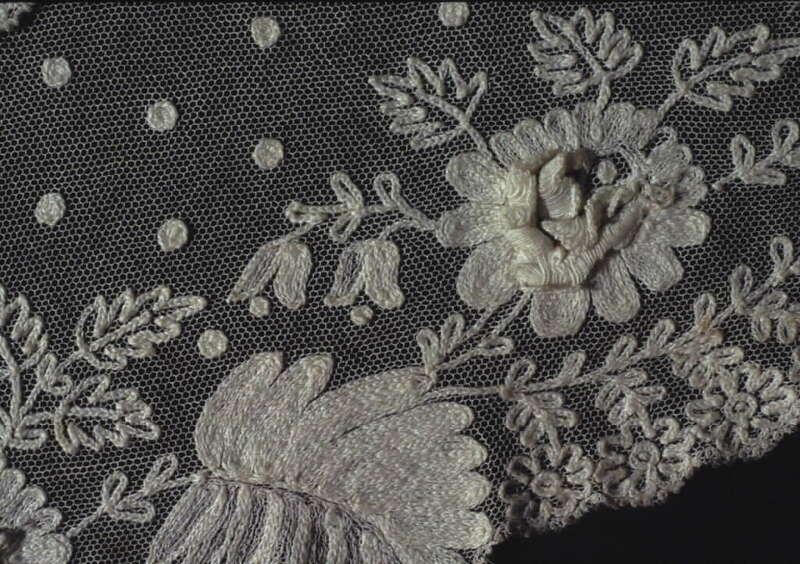 But the real problem is what to call 18th c straight laces which have a regular ground and gimp. The names we use for laces from 1900 reflect different grounds, as well as different ways of bringing new threads into a cloth motif. 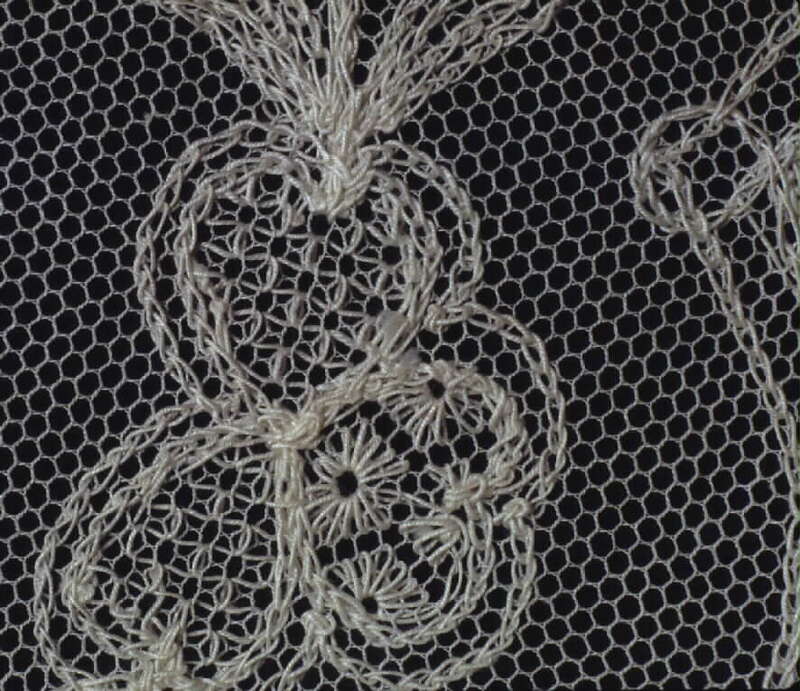 For laces of that more recent age the differences in grounds are paramount in our thinking: Mechlin, Flanders, Paris lace, Binche, Valenciennes. But as I understand Santina Levey that area of the world was producing laces using any of those grounds indiscriminantly, and calls them all Mechlin, using that as a general geographical descriptor. So if the date of your piece really is 1800 Mechlin might be the appropriate name. 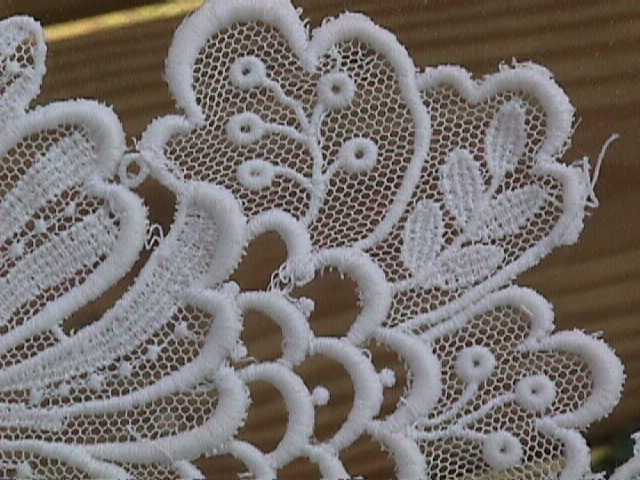 But the shape of the motifs does not go along with the designs of laces from that era. At that remove of history our sense of style has drastically changed. Those motifs are much more like late 19th c or early 20th than 1800. Here are some links for comparison. What is this? The information says it is Flemish, Southern Netherlands, ca. 1800. 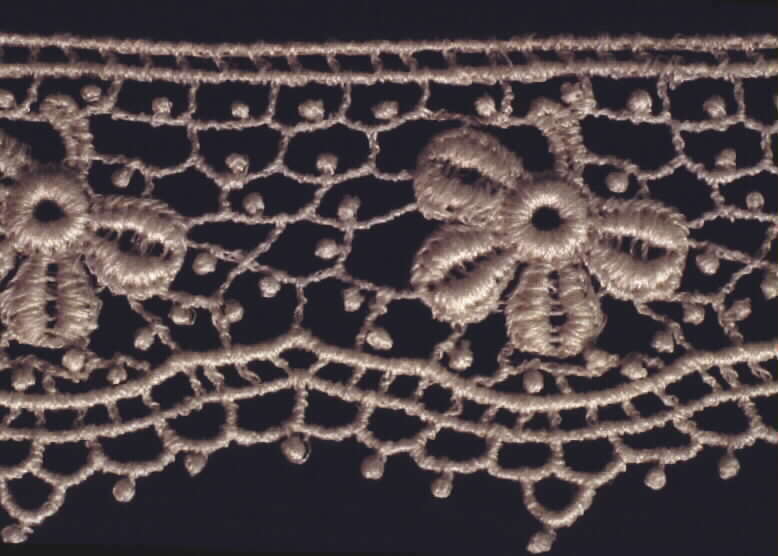 Fond de mariage; outlined with heavy thread suggestive of Mechlin; It is 2 1/2 inches wide. I don't know that characterizing it as Mechlin is correct. Does this ring a bell with anyone? Thanks as always for your comments. 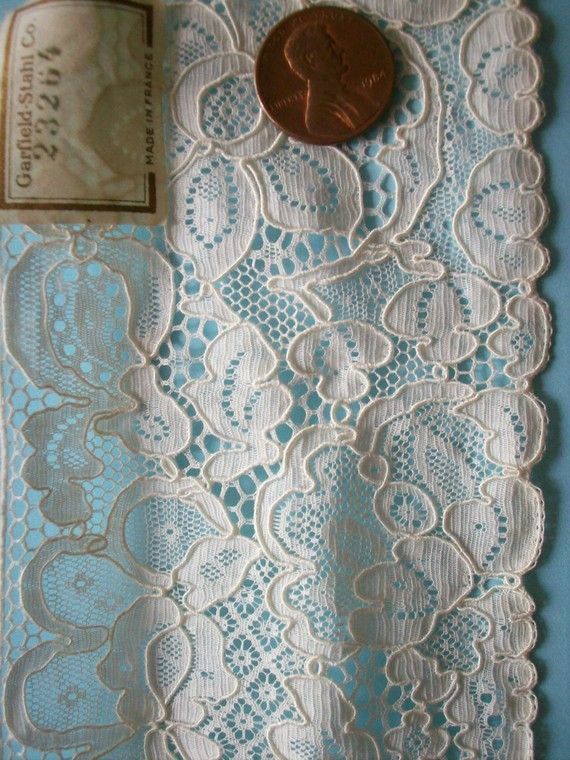 The tape lace one has some places where two layers of lace cross over but others, like the cross and sort of leaf shaped pieces have no joins at all. I agree with Lorelei, that second piece does not look handmade. It certainly isn't needlelace. It looks machine made to me. I have serious doubts that the 2nd piece is handmade at all. The red rings show areas where there are picots on the edge bars. I see rabbit ears, 2 loops for each picot. Hand made needle lace would not have rabbit ears. Each picot would be a single loop of thread. 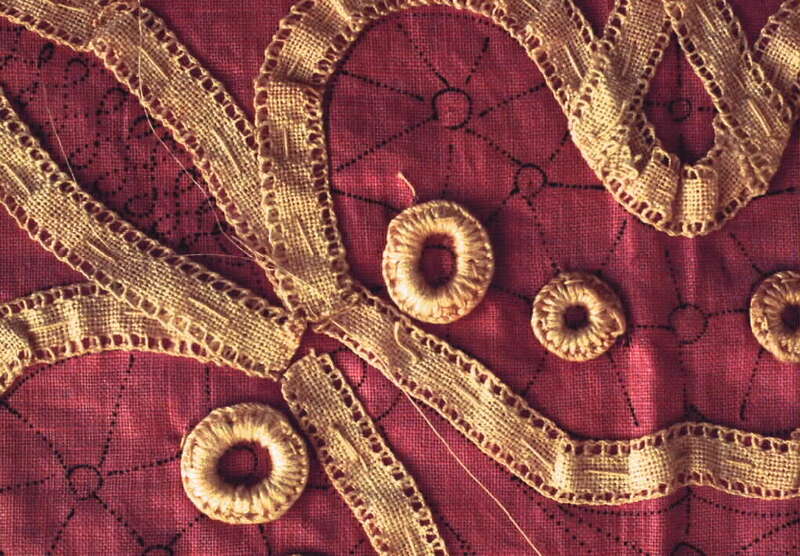 The green rings isolate areas that appear to be imitations of bobbin lace tallies. They are not really clear. They look fuzzy. Something isn't right here. I would like to hear from our other members about these laces. 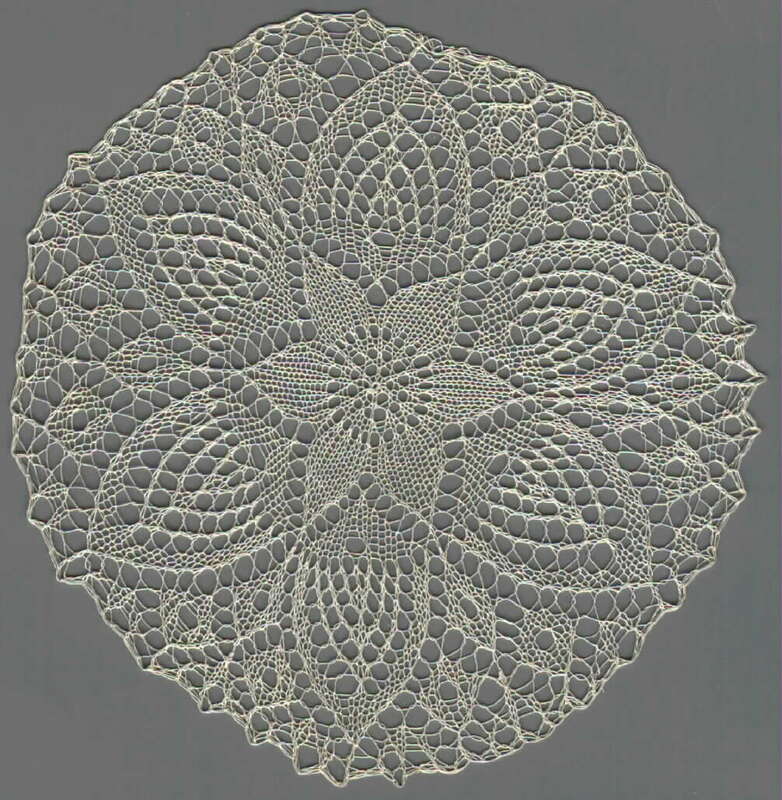 I am not an expert on needle lace, to the degree that I can claim for bobbin lace. The first piece you posted is interesting, but I have questions. My first question involves the element that looks like a tape. The red rings show areas where tapes abut each other. If, looking closely at the actual object, if you can see 2 layers at those crossover points I would questions whether this might be a tape lace, made with flat tapes sewn together and held to each other with a needle ground. If those tape shaped elements do not have crossovers or 2 layers, then the "tapes" are probably needle made. The green rings are definitely buttonholed bars -- true needle lace. The blue edge motifs are also definetely needle made. But I would not presume to specify a name, date or geographical origin. I don't have all that clear in my own head yet, for needle laces.